If your question is not on this page, please feel free to call us 1.800.696.5850 (Press 1 for Sales) or use our online form. 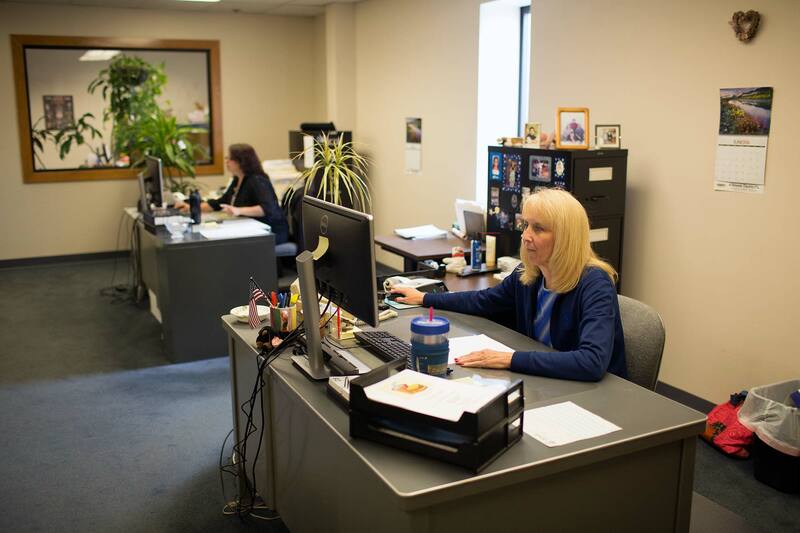 What does Delande Supply do? 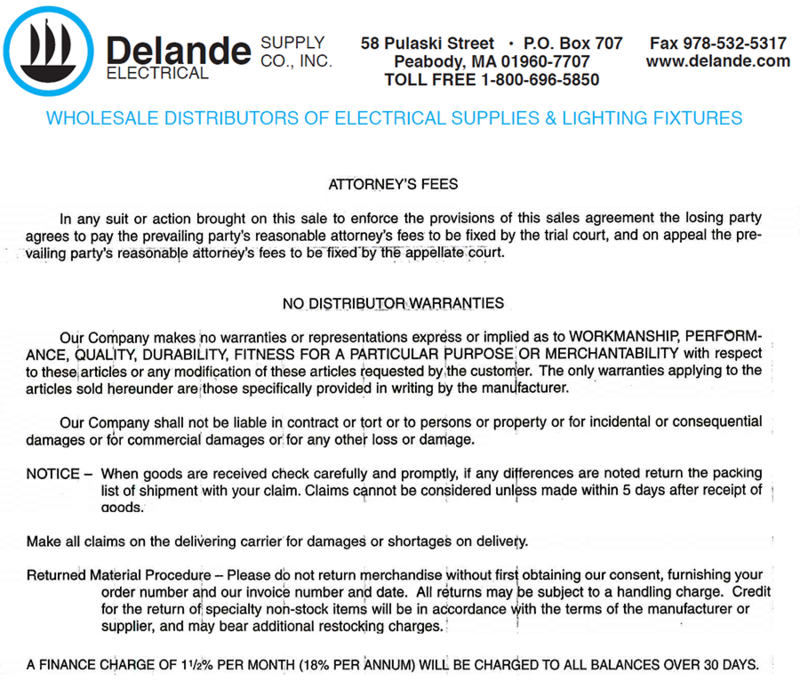 Delande Supply Co., Inc is a fifth generation, family owned electrical wholesaler in Peabody, Ma. We also have a retail lighting showroom located in Salem Ma. We sell electrical products and lighting fixtures in the industrial, commercial, OEM, contractor, and retail markets. What areas do you service or deliver to? Do you provide value-added services? 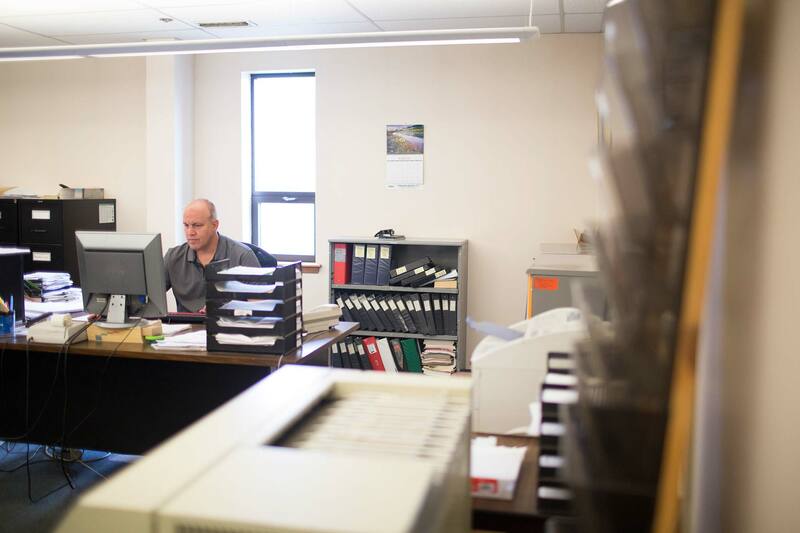 Just-in-time delivery, on-time delivery, kitting, lighting layouts, heating layouts, takeoffs, engineering product support and much more. Can we open a credit account with you? What is required? Fill out a simple credit application, supply three references, and we'll handle the rest. Is your pricing competitive with the larger stores? All stock items are returnable, without penalty, if they are in original cartons and in standard amounts. Special order and made to order items are generally not returnable and will be handled on a case by case basis. Also, view this document. Volume discounts are available depending on the type of product. Our standard pricing matrix prices all commodities on a very competitive cost plus basis and standard product will generally have a price break at the carton quantity level. Do you provide discounts to contractors? In Peabody we sell only at the wholesale level, while our Salem facility is a retail lighting showroom. How do we contact Delande Supply? Call 1-800-696-5850 and hit #1 for sales, fax 1-978-532-5317, e-mail a salesperson (first initial)(last name)@delande.com. We have a broad range of stocked products with over 16,000 items, and an inventory of over $2,500,000. For many of the popular items, we also stock multiple ranges of product with good, better, and best offerings.